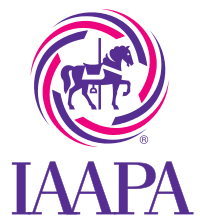 SR Scales is a member of the International Association of Amusement Parks and Attractions as well as the World Waterpark Association. 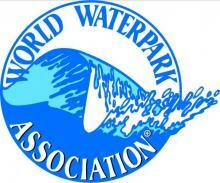 Waterpark scales are used as a safety enhancement for waterpark rides. The built-in platform scales enable riders and staff to know that minimum and maximum weight requirements set by ride manufacturers have been met. 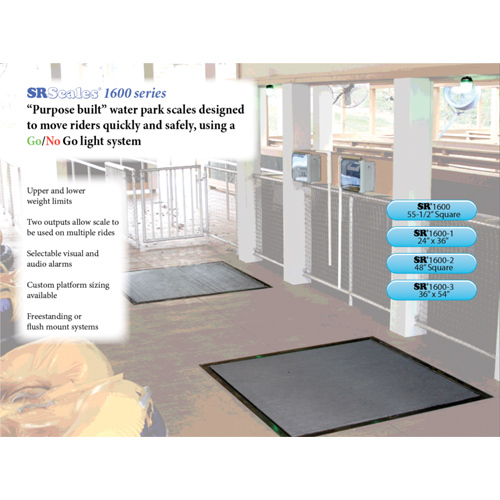 SR has designed its waterpark scales with a unique, programmable feature that lets rider and staff know when weight limits are in compliance. This is done with a red light \ green light display, also known as a “Go or No Go” system where rider’s weight is not publicly disclosed. Instead, when the scale light is red, the rider has not met the weight requirements or has exceeded the weight limit for that ride and should not be permitted on the ride. The green light indicates weight compliance has been met. This eliminates any potential confrontation between riders and staff. In an ideal setting there are two scales installed for every waterpark ride; one at the base of the ride where guests can “pre-check” their weight without having to climb all the way to the top of the ride, and the other at the top for staff confirmation that rider weight is in compliance.